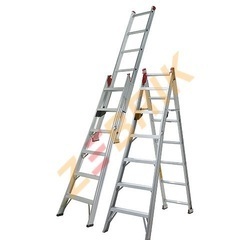 Leading Manufacturer of deluxe self supporting ladders, a type extension ladder, a type ladder hire, a type ladders, aluminium double step trestle ladder and aluminium self support ladder from Ahmedabad. 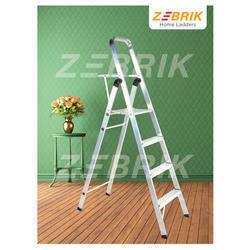 Zebrik is a brand of 360 Degree Global Equipments who are the leading manufacturers of aluminium Self Support Extension Ladder. 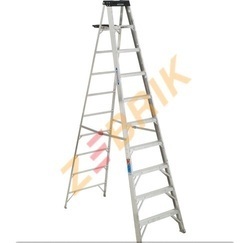 This are made up of top quality aluminium alloy. 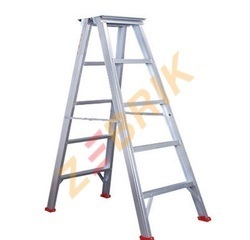 Aluminium Self Support A Type Ladder with supprior quality for hire with best rental price for short term and Long term rental duration. 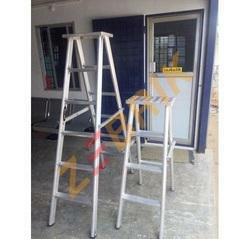 Two side mechanical step ladder is designed as trestle ladder for entry from either side. Nonconductive fiberglass rail with fully serrated aluminum steps on both the side. Heavy Gauge Steel Hinges: Suitable for industrial application. Pinch proof Spreader Braces: Heavy duty plated steel spreader braces with double rivet hinge - these protect the user from pinched fingers. Full Channel of Fiberglass: Nonconductive full channel rails with the polyester veil. 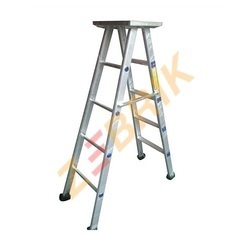 Slip Resistant Rubber: Aluminum feet with thick rubber tread. 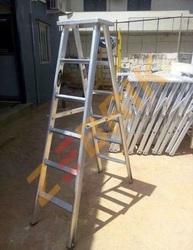 We are renowned firm developing widely demanded Aluminium Support Ladders. 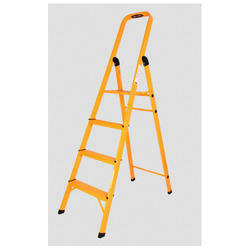 The offered ladders are specially developed to withstand the rugged use of both domestic and industrial sectors. 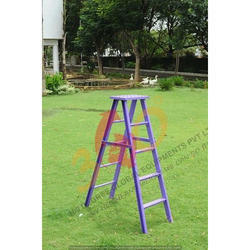 Featuring work load of 80Kg the offered ladders are made from premium grade aluminum material at our well integrated setup. 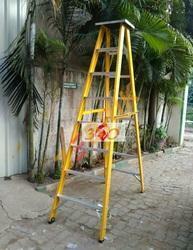 Further, we conduct rigorous quality tests to make these ladders industry compliant. 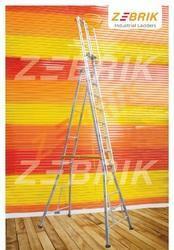 Our esteemed patrons can order these ladders from us in varied sizes at a leading price. 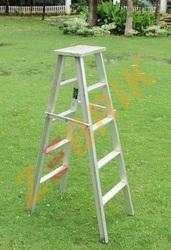 We are a manufacturer of Baby Ladder on Hire and providing on Hire in Chennai. 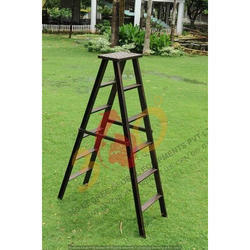 We are offering a broad collection of Baby Ladder that is available in a size ranging from 3 feet to 8 feet. 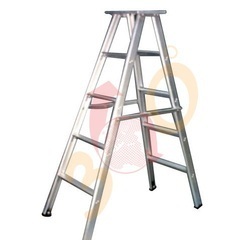 The offered ladder is manufactured under the supervision of our experienced professionals using optimum quality metal alloy and modern technology as per the set industry norms. 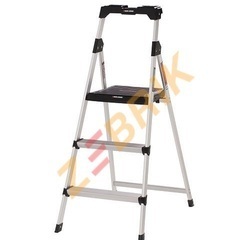 Offered Baby Ladder can easily be folded and is available at industry leading prices.